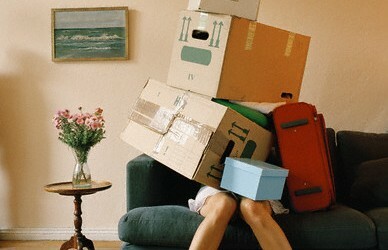 It’s no secret – moving is stressful. There are a million and one things to consider and even more to plan and pack. You want to cut down your to do list as much as possible and part of that is getting prepared for the big day ahead of time. These tips will help your transition smoothly into your new home. Do your research ahead of time and figure out the best set up for your home. Make the necessary installation appointments as close to move-in day as possible so that it will be ready when you get there. Don’t forget to change your address with Netflix and other services to avoid any interruptions. If you have a pet, you might not want them running around while your juggling boxes and furniture. If you need to give them a little staycation to minimize moving trauma you should do your research and make the reservation in advance. Bring anything you need for your first night (plus a few extras) in case there are any hang ups with your moving service. Chances are you’ll be fine but just to be safe pack the things you know you’ll need for the first couple of days. The worst is when you move and then can’t find, for example, your phone charger until you pack all 101 boxes. If you have kids, grab a deck of cards or a new coloring book and pencils. It will keep them occupied and out from under foot while you’re figuring everything out. When it comes to movers, research, research, research! Going with any old mover without checking them out could be a major disaster. All moving companies are not created equal! Get quotes from at least three moving companies, making sure they come to do in-home assessments so your quote is as accurate as possible. Get recommendations from family, friends, and websites. Try MvoingScam.com to check out each potential company for trouble. Also, don’t forget that moving expenses are tax deductible. Get an IRS Change of Address form, Form 8822. Moving into a new place, you never know who might have a key. Make sure you change the locks before you move you or any of your things in. Most people clean before they move out but there’s no harm in doing a double job. There’s something about moving into a place that you know is clean, fresh and ready for you. For more moving tips, check out this week-by-week moving checklist. Good luck!